Changes to Monday to Friday evenings only – Service 5A between Royal Parade and Saltash will not run after 19:00. Service 5 will continue to serve Saltash from Royal Parade, last bus departing from Royal Parade at 23:08. Service 5 / 5A will continue to operate a combined 30 minute evening service between Royal Parade and Plymstock. Service will now operate via Milehouse to Tavistock instead of Mutley Plain. Service will no longer serve Derriford Hospital (see service 42/42A/42B for alternative services). Timetable changes to reflect this change to route, plus additional journeys operating via Brentor to Okehampton. There will be adjustments to some early evening journeys. Additional journey from Derriford Hospital to City Centre at 17:08 on school days. Short trips in the evenings between Royal Parade and Transit Way withdrawn. Service 29 to Derriford Hospital in the evenings will still serve Transit Way. Last two trips to Derriford on a Sunday will run 20 minutes earlier. Slight change to departure times on Saturdays. Last evening service 41 From Royal Parade to Southway on a Sunday withdrawn. (See service 42A for alternative journey option). Current service 12 (BlueFlash) to Tavistock will be renumbered service 42. Current service 42 to Tamerton Foliot via Looseleigh Lane will be renumbered service 42B. The current 42A to Tamerton Foliot via Southway Drive will stay as service 42A. Service 42 to Tavistock will now operate via Mutley Plain instead of Milehouse, also serving Derriford Hospital. It will continue to be run using the Blueflash Double Deck buses. Tamerton Foliot services, now 42A (Southway) and 42B (Looseleigh) will now be run by newly branded Blueflash Single Deck buses. The above will mean a 15 minute frequency between Royal Parade and Derriford Hospital, operated by Blueflash branded buses with FREE Wi-Fi on board. All 42 services will run from stop A18 on Royal Parade. 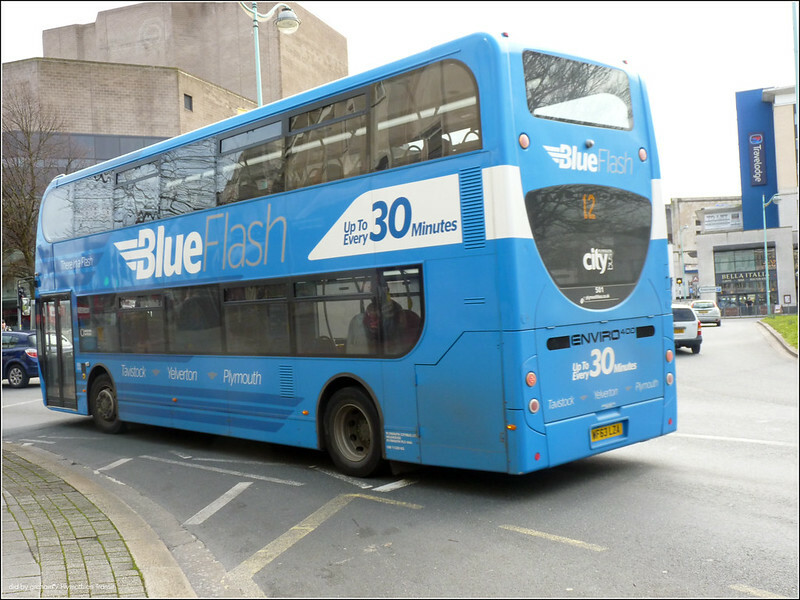 The Blue Flash livery makes no mention of the route number 12 so they wont need to update the lettering on these buses when the service becomes the 42. Cant wait to see this livery on the Volvo Wright singledeckers! A much simpler layout from now on for my recommended links - The old way looked a lot nicer but took up a lot more time to put together, timer which I simply dont have these days! Hopefully this will help me keep the links much more up to date rather than keeping them back a few days. PUBLIC TRANSPORT EXPERIENCE: Sapphire Simply Saddens  fbb has previously blogged about Sapphire with a certain amount of cynicsm. Many of the company's "novelties" look like they should be part of every bus service. This seems to be a change of strategy more than anything in terms of Tavistock. They started off with the 12 - pushing it as a fast, direct service to Tavistock, but the other side of that is it relied entirely on people using it for that purpose. Now by taking a slower route via Mutley and Derriford, it will be guaranteed to generate additional customers along this stretch; such as the passengers from the current short 42s to Derriford for instance. Yes they are losing the direct service, although it seems now they are trying an alternative strategy by taking a slower route, but they'll be hoping this will generate more income by serving more places. The 11 operating via Milehouse is understandable and not at all surprising - in fact it's good there is still a direct service to Tavy from PCB - although I think it's a shame they can't include a couple of short runs to Tavy to provide a consistent hourly service throughout the day. I'm a bit surprised about the reduction in the evening Service 5 - but then again, Saltash never used to have an evening service on the 'old' 43A'. Anyone who says Blue Flash changes are not because it is struggling to make money..check out the fares increases announced today by PCB. Day ticket for Tavi up £1 to £5.50 (over 20%) hike. Higher prices and longer route than Firsts 83 and less frequent too. Will First follow, I think not, First are home and dry I reckon if they hold their prices down, What's another few months of losses to gain back monopoly on one of their main routes? Citybus are playing dangerous game with Blue Flash, cutting the quick route like they have and now to boot a £1 fare increase to £5.50 as well. What if First dig their heals in and don't follow suit..Citybus will lose most of their customers.. Not many will pay £5.50 for long route with Citybus over £4.50 with First 83. Add in for commuters Citybus month ticket £65 against First £60, with First operating 4 buses per hour, inc 2 quick 83's in the rushour v Citybus slow 42 (x2) and occasional 11, not good offering from Citybus. Is this the signs that all is not as rosy as they let on at Go Ahead and the powers to be up the line demanding more in profit ? 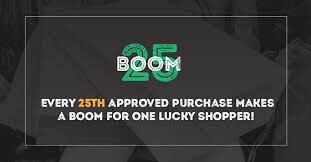 First there on the other hand have lost money for years and if they can see light at the end of the tunnel may well put up with losses for a bit longer. 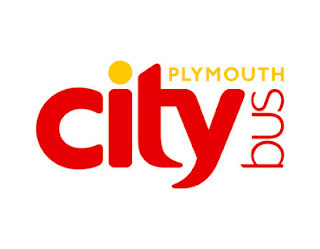 First could do well if they expanded into other estates in Plymouth, such as Southway, Whitleigh with their £3 day ticket, force Citybus to loose more on these routes having to cut fares to compete. First have nothing to loose unlike Citybus. This is what annoys me intensely because Citybus is the only main company to invest in Plymouth, they are hated, because there buses are clean and fairly tidy, they are hates, because there buses usually are turned out well livery wise they are hated... If we left first bus too it there would be no buses at all! The trouble is Citybus also have extremely high fares, ever changing timetables along with frequent no show buses and ignorant drivers who make no effort to park properly and constantly block traffic. As a driver in the main First seem o be a lot more courteous, perhaps that's why Citybus are hated as you put it. Also Citybus are blatently trying to put their cometitors out of business and ruining good services provided. But then First are also cutting back on their evening service to Saltash and elsewhere from the following week. Many places in Plymouth don't have an evening service at all - 20,27,33,45. The evening Service 21 really is hourly; combined every 30 minutes but really Chaddlewood and St Maurice are each hourly. Many places also have hourly evening services, so yes this is a reduction, but most PCB evening services are hourly anyway, so really it's no worse than most places in Plymouth. Indeed, however the cost difference is significant £59 vs £40 monthly for what is now the same service, city bus previously ran with good vehicles now the older darts are the norm. Another previous advatage with citybus was no matter where in saltash you lived they would cover all every half hr vs first 1/1a now first have adopted this approach to do a full ring of saltash in the eve rather than just one side. With First stripping back their evening service in Saltash, I still think you're better off with Citybus. The Citaro's that were first used on the 5/5A had to be removed as they were far too big for all the narrow twists and turns in Saltash; some roads and tight corners are extremely tight even for the Darts used currently. They were never popular with drivers on the 5/5A for that reason. As a Tavistock resident it has been fascinating watching Citybus and First slug it out on this corridor - we have enjoyed high-quality vehicles, cheaper fares and an unprecedented frequency as a result. It is very apparent, however, that all this is unsustainable in the long run as many workings are very lightly-loaded - and it now looks as if Citybus have blinked first, which is a pity. My fear is that First will see them off completely, and then revert to type with high fares and the ancient rolling-stock which we endured for many years. In part I agree, I would also like to see more competition on Citybus routes in the city for same reason. However whilst I see you point for Tavistock, I think that with Citybus being the aggressor here it is quite good that First seem to be coming out on top and Citybus have blinked first. It will hopefully stop the management at citybus being so arrogant and thinking they can just turn up with their flash buses..no pun intended, and ride rough shod over everyone. Not sure that First will wait with regard to your last point - rumours are strong that the 12-reg Enviro 400s are leaving Plymouth imminently. If true, it'll depend on what replaces them. After much uproar about the 12 reg E400s leaving the Park & Ride, and First now having the upper hand on the 83/86, why are they suddenly going to move the reason they have the upper hand somewhere else???? I think this is just another malicious rumour that seems to go around, when people don't like something! Tavistock E40Ds are being replaced by newer buses, having been confirmed on First Devon's website! Some very exciting and good news for Tavistock bus users Newer buses are coming in Early September, replacing the current 12 plate E40Ds I have spoken to First Devon via there Facebook Page, it is currently not know what will happen to the 12 plate E40D's. Also 33422(Old X9 Enviro 400) has been repainted into a very 'colour' if not interesting version of the First Olympia livery! The pink on the front of 33422 is the new Park and Ride livery. Don't forget that First have a "plus" day ticket at £3.60 vaiid in Tavvy among other places. VFM ??? Yes the park and ride relaunching in September with new design to front. The bright pink at the front of the bus is the new Park and Ride livery. :-) the Volvo is becoming the blue flash to operate the 42 to south way while the blue flash dockers are going to operate the 42 to tavistock. new buses? where did u see that? i went thru thier site and there is nothing on there about new buses! My comment in fact. James Hales! Basically First said that what's happening is there is new 14 plate buses coming for Early September. But there is no plan for the 12 plate E40Ds unless that has changed in the last 2 days! Let's hope this is just the start for First Plymouth fightback! Except the comment now seems to have been deleted by First.... Interesting! There are no new buses. It was all a misunderstanding. The three 08 Enviros and two 55 plate Tridents are having some internal work to their seating and being painted in the pink fronted park and ride livery. An additional bus may join them for enhanced frequency. A number of the B7s are being re trimmed and repainted for the PR2 with green fronts I believe. What are you on? The 08 Enviro's are for the PARK & RIDE. The NEWER buses are for the TAVISTOCK ROUTE! I have re commented to First, I think that the new buses are true, but they where trying to keep it quite for whatever reason! was speaking to a park and ride driver. the w reg tridents are getting a major refurb and are going onto tavistock. not so new eh! "The jury is out..." Who's the jury then? These Directors are employees of First. They don't have free reign to do what they want, spend First's money, or decide the future of First in Plymouth. The 'jury' for them isn't local bus enthusiasts, it's made up of their bosses at First. They have clear instructions and objectives set by others. They succeed if they deliver their bosses wishes, full stop. Don't you think it's odd to assume that members of the public should be 'the jury' on someone's personal performance in the job they do for a private employer? I can see where you are coming from. Clearly at the end of the day it is indeed First Group HQ that call the shots and decide if local directors are doing a good job or not. However the directors also know that they are judged on their performance by passengers and enthusiasts alike. Its the same in any 'public service' job. Managers at Derriford Hospital are judged on their performance even though much of what happens in the NHS is set by national government and the agencies they have in place. Plymothian Transit is a site run by myself, a bus enthusiast where I can offer information on what is going on and also as a place where other people - mostly enthusiasts, but also plenty of industry insiders, can share their opinions. my comment about the jury being out was in response to someone saying that two directors had left the company in worse shape. My opinion on the first named director differed, and I felt / feel that it is too soon to "judge" if AC is going to be a good manager or not. (The signs are good though). As you rightly point out I don't suppose anyone at First HQ cares what I think!